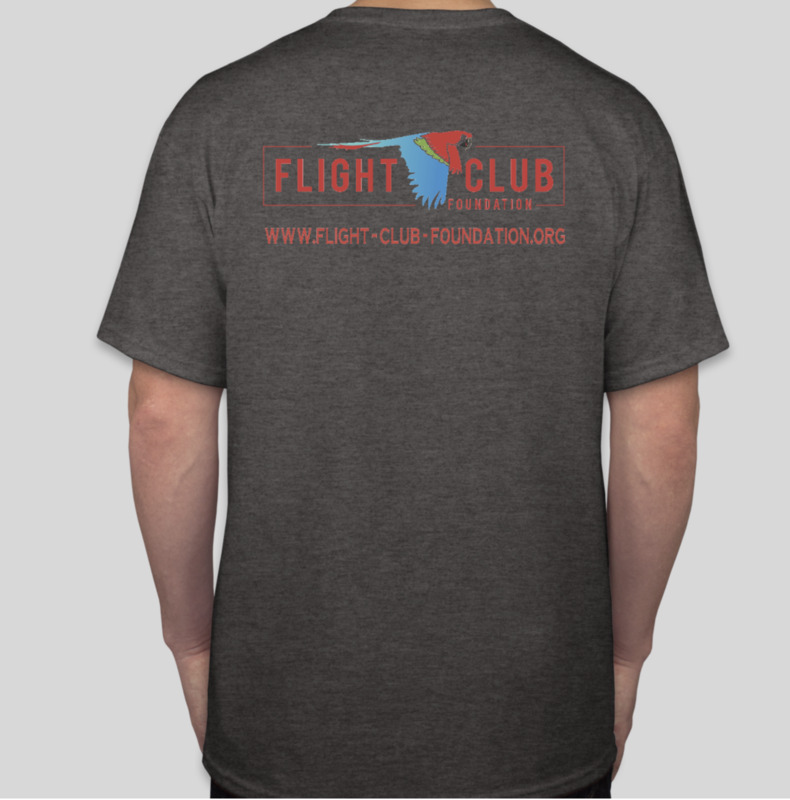 Every year, Flight Club Foundation features exclusive artwork donated by a variety of artists. In 2018, artist Tony Sanchez donated this beautiful image of a greenwing macaw looking like it is climbing your shirt! 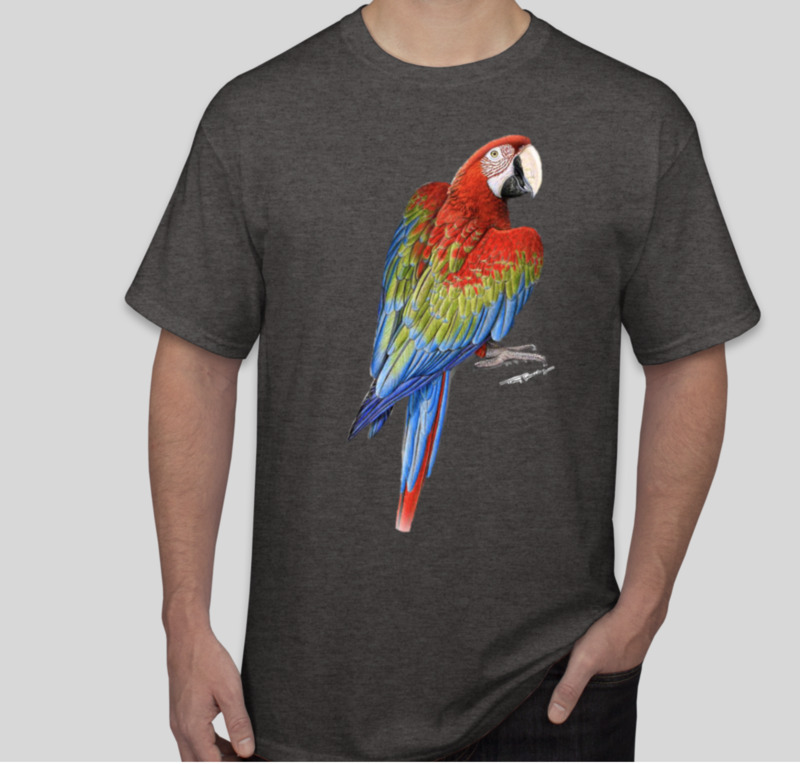 We hope you enjoy this vivid detail and printing done by Custom Ink to help Flight Club Foundation keep Parrot Playdates and Seattle Parrot Expo going year after year! T-shirt sizing based on general men's shirts.